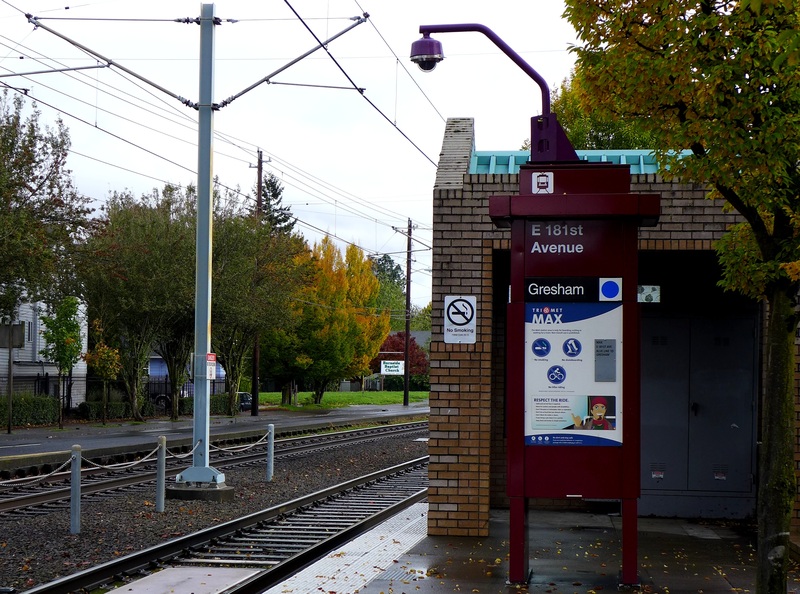 MAX riders will notice changes in the coming months as TriMet invests in safety improvements and station upgrades on the East side. Fourteen stations between Hollywood/NE 42nd Ave Transit Center and Cleveland Ave will undergo renovations that will increase safety and security, and pave the way for information displays and equipment for our upcoming electronic fare system. In January, crews will begin by removing trees on platforms to increase security camera views and make way for more and better lighting. Cameras will be upgraded, shelters will undergo changes, including improved windscreens, and other amenities will be installed. The changes will create better visibility, increase safety and discourage inappropriate activities. The trees that are removed will go to an organization that provides firewood for low income residents. TriMet also will be making safety improvements at several Blue Line pedestrian crossings in Gresham beginning in January. The crossings will be realigned to be perpendicular to the MAX tracks. New pedestrian warning systems and channeling will be installed. Currently the work is not expected to disrupt MAX service. Each crossing project is expected to cost approximately $350,000. Most of the work will be done Monday through Saturday between 6 a.m. and 10 p.m., however, some work may take place outside those hours as necessary.